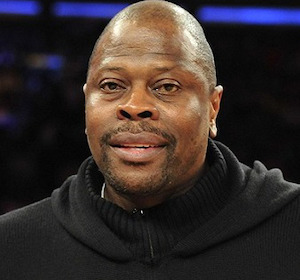 Former NBA basketball star Patrick Ewing is headed to his alma mater to become the new head coach of the men’s basketball team. Ewing, 54, replaces John Thompson III, the son of Ewing’s former coach, John Thompson Jr. The younger Thompson was fired last month. The elder Thompson had built a solid reputation of ensuring that his players graduated from college. A Hall of Famer, Ewing has been the associate head coach of the NBA’s Charlotte Hornets. Ewing is expected to participate in a formal press conference at the nation’s oldest Catholic university on Wednesday. Lee Reed, the athletic director of Georgetown praised the hire. Ewing played for the Hoyas from 1982 to ’85, leading the program to three national championship game appearances and one title. He went on to have a Hall of Fame career in the NBA, playing 15 of his 17 years in the pros with the New York Knicks. He is also a two-time Olympic gold medalist.